Is a rear-ender collision always the fault of the rear-ending driver? I have proposed, for inattentive driving, similar roadside penalties as are imposed on impaired drivers. To avoid unfair application, I proposed that they be imposed only “in that ridiculous rear-ender scenario that ‘on the face of it’ could not have occurred had the rear-ending driver been attentive”. The penalties would not be applied on the basis of any particular distracting behaviour, but on the basis of an actual collision. The proof of the inattentive driving is “in the pudding”, so to speak. If there is any uncertainty about how the collision occurred, i.e. any alternative explanation for the rear-ending collision besides a glaring lack of attention to the road ahead, no penalty would be imposed. My proposal raises the issue what those alternative explanations might be. The very recent court decision of Bingul v. Youngson, 2016 BCSC 1868, released October 12, 2016, gives us an example. Mr. Bingul’s 1991 Toyota Corolla was rear-ended by a tandem axle dump truck driven by Mr. Youngson. The truck, along with the excavator-loaded trailer it was pulling, had a total combined weight estimated at 44,000 kgs. The Toyota weighed something under 1,500 kgs. Mr. Bingul says that he stopped behind other traffic at a red light and the truck stopped behind him. After 2-3 minutes, the light turned green. Before traffic ahead of him had cleared, the truck struck his car from behind. Mr. Youngson tells a completely different story. He says that he had a clear lane ahead of him as he was approaching a traffic light that had turned yellow, and that he had been braking and down-shifting to prepare to stop. When he was about 30 feet from the stop line, sufficient distance to bring 44,000 kgs of truck and trailer safely to a stop, Mr. Bingul cut in front of his truck, cutting his stopping distance in half. Madam Justice Baker reviewed the case law that has developed with regard to rear-ender collisions. She started with the following quote from a previous case: “…when one vehicle hits another from behind, the onus is on the driver of the rear vehicle to show that the collision was not caused by his or her fault…”. She continued with this quote from the same case: “But while liability for a rear end collision usually rests entirely with the following driver, that is not an invariable result…”. What do you do, as a judge, when you have two people with completely different stories about what happened? Madam Justice Baker noted that “…the assessment of the credibility of the two versions of events offered by the two drivers must depend on the internal consistency of their testimony and the consistency of their testimony with other testimony and evidence”. This is a lesson to those who dart in and out of traffic in an effort to get to the very front of the line at an intersection. Big trucks can’t stop on a dime, and you put yourself in danger when you dart in front of 44,000 kgs of truck that’s slowing for a light. Another lesson is that some people really are dishonest enough that two completely different stories can be told about the same collision. 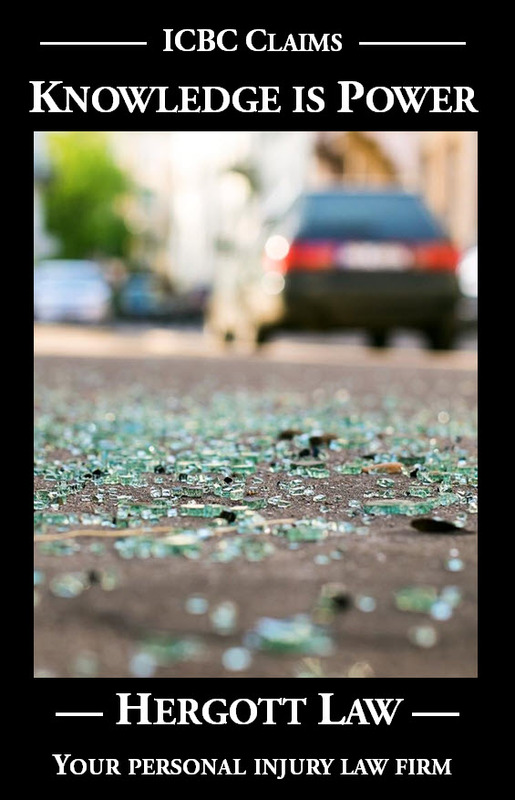 It is advisable to get the names and contact information of witnesses at the scene of a collision even if, from your perspective, liability could not possibly go against you. There is always the possibility that the offending driver will lie through their teeth. The decision in Bingul v. Youngson 2016 BCSC 1868 was made by Madam Justice Baker, a white female who found in favor of the white defendant, Mr. Youngson and against the coloured defendant, Mr Bingul, who is from Turkey. It is not a coincidence that the white judge found in favor of the white defendant, and against the coloured plaintiff. Madam Justice Baker is racist. For this reason the decision in Bingul v. Youngson needs to be appealed and overturned. We cannot allow racist judges to discriminate against coloured people. Tariq…your comment posted a little over a week ago has troubled me. On the one hand, racism, sexism and other biases do impact on human beings, and judges are human beings, so there must be dialogue about that issue. On the other hand, it would seem that the sole basis of your allegation of racism on the part of Madam Justice Baker is that she is white, the party she held in favour of is white and the other party is not. You did not identify anything about the findings of facts or Justice Baker’s analysis of those facts or application of the law as being unfair or improper. Madam Justice Baker provided detailed reasons for her decision and your response without any basis whatsoever than the colour of her skin is that she’s racist. I am a very, very privileged white male and I am horribly, horribly ignorant about racism. It seems to me, though, that your post is racist. On that basis, I am potentially perpetuating racism by “approving” it, i.e. by allowing it to be published on my web site. I am going to err on the side of dialogue and communication, and approve it….along with this, my admittedly ill-informed response.